While there are numerous circumstances where mobile cobots will be more efficient than basic cobots, determining whether your business circumstance is among them is critical. When it comes to collaborative robotics, mobile cobots are expected to revolutionize the industry. Currently, some businesses have already adopted them and it is only a matter of time before a big percentage of both small and middle-sized businesses adopt them. Many entrepreneurs, however, are unable to determine whether their businesses actually need mobile cobots. Establishing this fact is a good idea since no entrepreneur wants to adopt mobile cobots without understanding how significant they will be in enhancing their procedures. How can entrepreneurs establish whether these machines are ideal for their businesses? Find out below. A standard mobile collaborative robot comes with a cobot manipulator fixed at the mobile autonomous base. It offers the numerous benefits of the two independent technologies complete with the extra advantages of mobile manipulation. These include good utilization of space, reduced downtime, and minimal hands-on time for conversions. As much as these advantages are promising entrepreneurs should ensure that they are ideal for their specific circumstances. They should seek to understand whether and how much added mobility will enhance the performance of their industrial robots in their businesses. Currently, there are numerous cheaper and easy to implement solutions that entrepreneurs can use to achieve similar benefits. Still, some applications can be enhanced by boosting the mobility of your industrial robot arm. Below are some of the situations where mobile cobots can override basic collaborative robots. According to Universal Robots, collaborative robots are agile which makes reprocessing of new tasks easy. This means that users can change collaborative robots between tasks numerous times daily. Humans, however, are required to change the robots during conversions. Entrepreneurs who are stuck at changing their machines between small and numerous tasks daily can benefit by adopting a mobile base. Large work areas are common especially in the logistics industry where the biggest robotic adoption has been witnessed. Various mobile robots specially designed for logistic applications are already in the market. 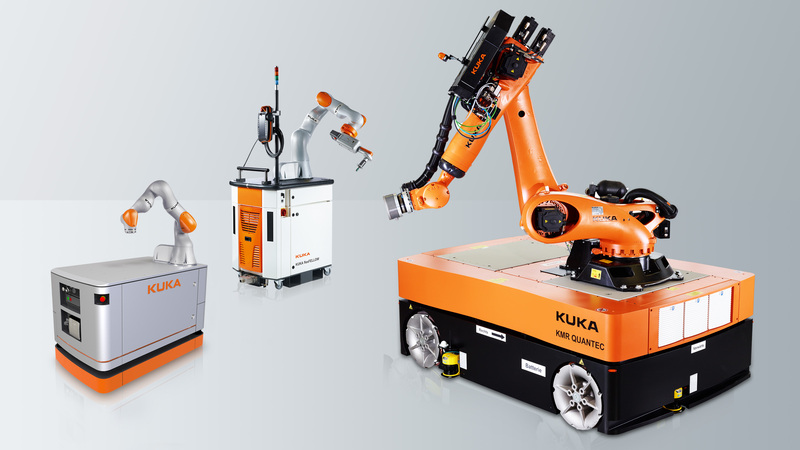 As an entrepreneur, your business will gain more with extra mobility especially if your industrial robot executes tasks within a large workspace. Pick and place remains among the most common tasks for collaborative robots. It involves picking an item from one place and placing it in a different area within the robot’s work area. A mobile collaborative robot could come in handy if the drop-off point is far from the pickup point. Is your robot utilized for processing large batch sizes? If this is the case, there is a likelihood that executing a single task lasts for almost an entire day. Here, adopting a mobile base may not be quite beneficial since the machine remains stagnant for a prolonged time. However, if your robot processes small batches consistently, it probably alternates between tasks frequently. A mobile base could be beneficial in this case. Many collaborative robot users prefer combining manual tasks executed by a human with their robotic tasks, which is how cobots are designed to operate. Entrepreneurs, however, may want to modify a comprehensive procedure for collaborative robot automation. In order to achieve an entirely automated workflow, entrepreneurs will have to automate the transition of items between work areas. While adopting a mobile base may not be the only way of achieving this, it could be quite beneficial. Entrepreneurs who opine that mobile collaborative robots can enhance their situations should strive to understand their significance and suitability within their workspaces. There are numerous ways of doing this such as writing down the number of tasks the robots can execute, evaluating every task for collaborative robot suitability, and observing the conversion time. Prior to investing in an expensive mobile robot, establish whether and how your standard collaborative robot can help you solve your problems.